Music plays an important role in our life. 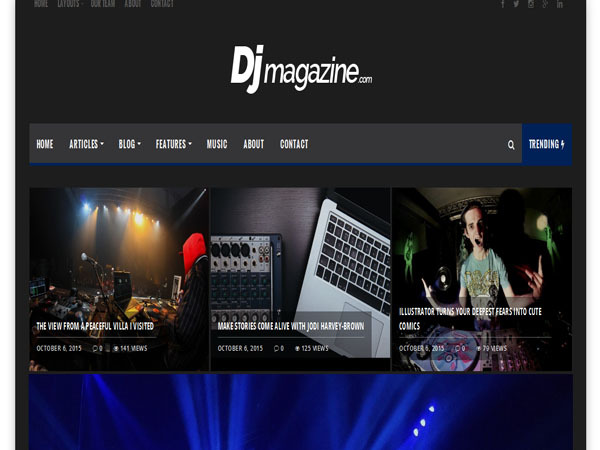 Today we are sharing with you some best nightclub WordPress themes for your music related site. 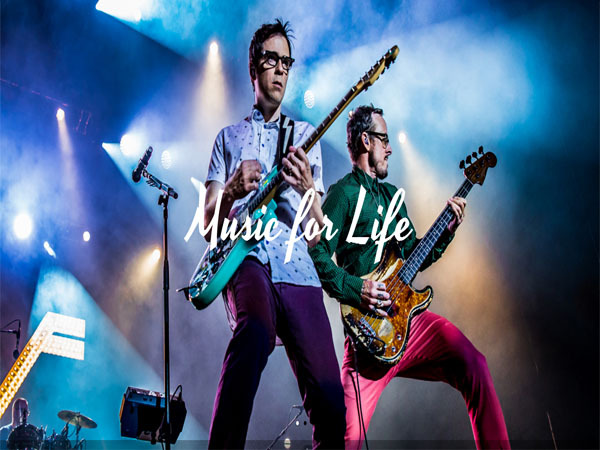 These music themes will transform a WordPress blog into a great looking music or band oriented website with all the features required by musicians and bands. All these themes are fully responsive and bundled with most powerful features. Clubber is an elegant and modern WordPress theme. This theme allows you to easily upload a background image OR you can choose a background pattern from the Style of the theme. The logo, favicon, menu and link colors, sliders images and anything else is completely adjustable in the Theme Options. Clubber also allows you to have how many photo albums you like. Once you create the desired album, in there you can post any gallery that pleasures you. Clubber can display your upcoming events in a really nice manner. You can display each event on their own map, the length of the event and also the availability of the tickets. 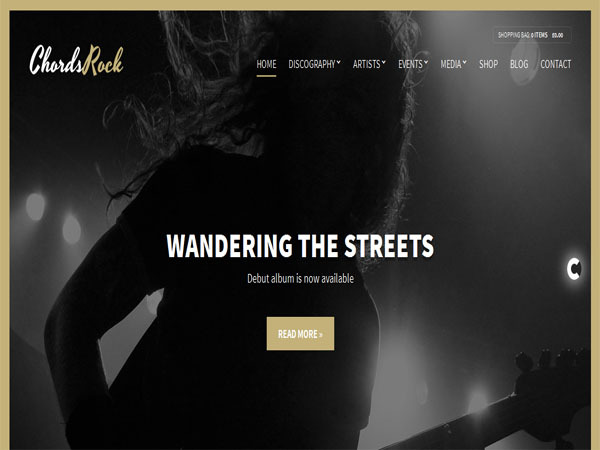 Night Rock is a clean and sleek music WordPress theme. It is fully responsive design and retina ready WordPress theme design. This theme has unlimited colors scheme and events circle count down. Theme comes with Google map location and Woocommerce and event manager. This theme has custom widgets and widgets content included and playlist and simple MP3 player. It is based on bootstrap grid system. Clubix is a well designed and impressive WordPress theme. It is a fully responsive that works on all types of screens and displays. This theme is now at its 2.0 version, and it has way more features than its predecessor and it will be compatible with WPML. This theme has no browser compatibility issue, and it is able to display your site on mobile devices as well as on desktop computers. 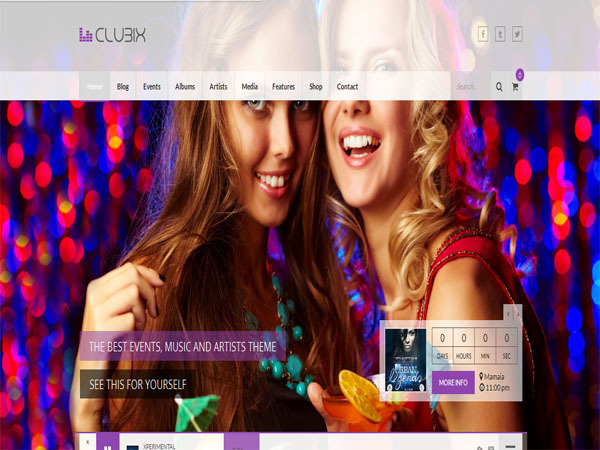 Clubix WordPress theme has incorporated .po and .mo files. With this theme you can add the music players anywhere in your website, with our powerful widgets and shortcodes. 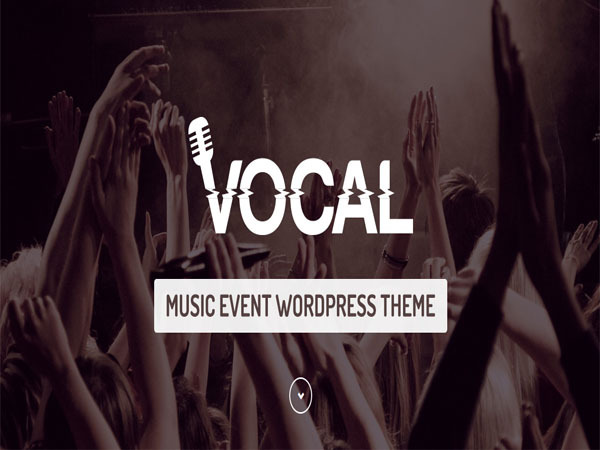 Vocal is a modern and clean WordPress theme design. It is 100% responsive & mobile ready theme design. This theme has full screen background slider and eCommerce with WOOCommerce. This theme has built in audio player and photo albums. This WordPress theme has YouTube & Vimeo support and WPMP ready, multilingual website. This theme has 6 pre-defined color presets and customizable & visual composer. Chords is a stylish and bold WordPress theme based on Boostrap. It has responsive layout design and 6 custom post types. This theme has light & dark color schemes and complete audio and tracklisting management support and soundcloud support included. This theme gives you Drag and drop homepage layout and parallax support and also has audio player support, streaming audio included. This WordPress theme gives you advanced custom widgets and theme options panel and SEO optimized. 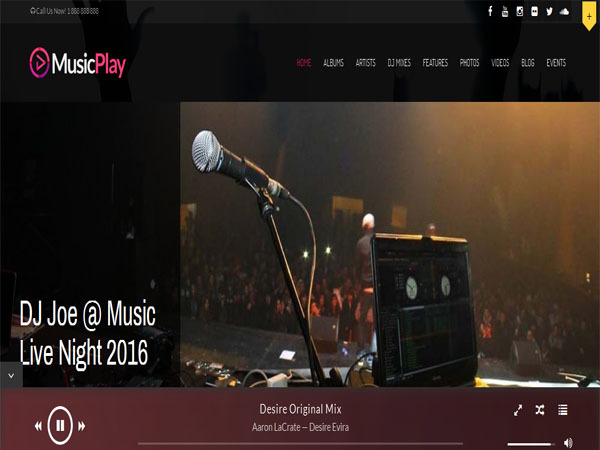 MusicPlay is a well-designed and elegant WordPress theme. This theme Custom Background Image for pages and custom background image for posts and custom subheader image for pages and posts and custom subheader teasertext for pages and posts. Theme has unlimited color skinning options and multi threaded comments. Theme gives you built in shortcodes generator and many more powerful otions. 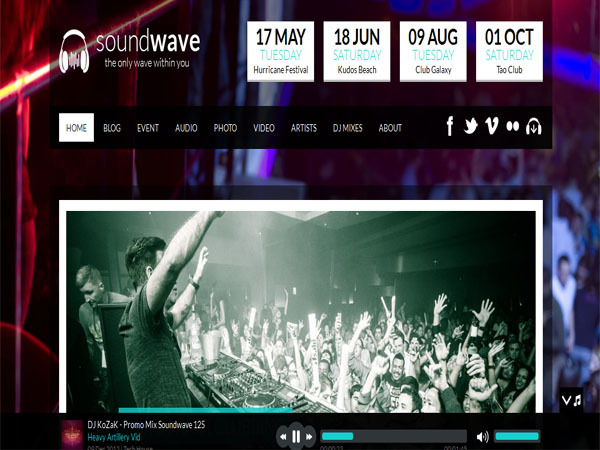 SoundWave is a professionally developed WordPress theme. This theme has two types of slider: large or small. You also benefit of animation for the slider. SoundWave can display your upcoming events in a really nice manner. This theme allows you to chose a background pattern or you can choose to upload any background image that pleasures you. The logo, favicon, menu and link colors, and the rest of options are completely adjustable from the Theme Options. Soundwave also allows you to have how many photo albums you want. Night Spot is an elegant and clean WordPress theme. This theme has responsive design and it based on Twitter Bootstrap. Theme is SEO friendly and a built-in SEO control panel is added in theme. This theme comes with a powerful admin panel and page builder. It allows you to control every aspect of the theme from its control panel. 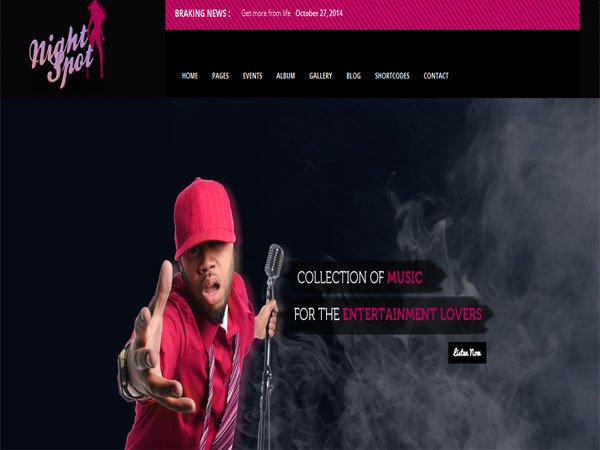 Theme has event management system and music track & album management. Theme gives you color scheme management and footer settings & twitter feeds and background manager. 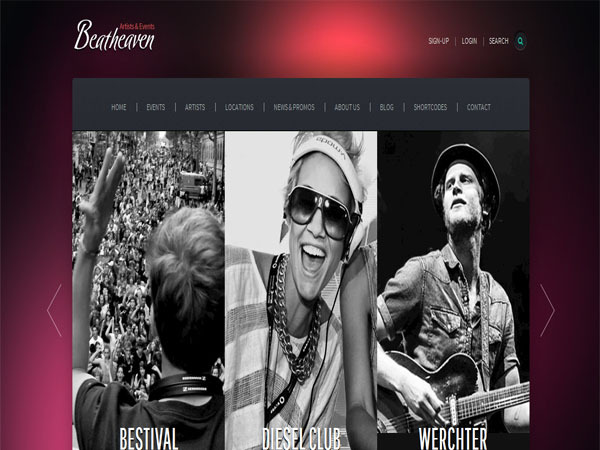 Beatheaven is a well-designed WordPress theme. Theme is multiple backgrounds included. You can change theme backgrounds with ease, with our useful options that allow you to upload any image you’d like. Theme has advanced SEO options, Search Engine Optimization (SEO) is vital for any website that wants to have as many visitors as possible. The theme comes with a contact form module that will enable you to create any contact form you might want or need. 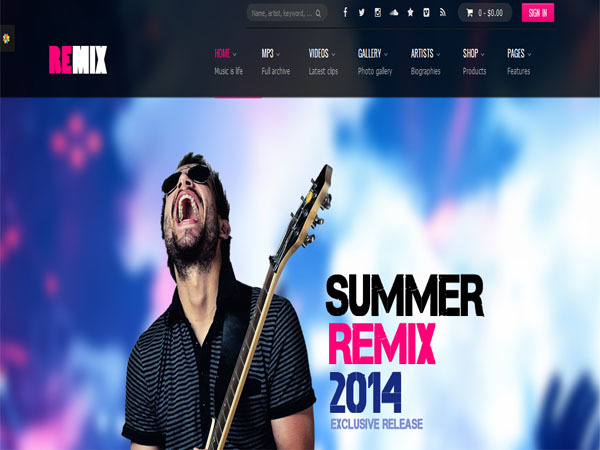 Remix is a sleek and clean WordPress theme. It comes with a fully responsive layout built using 12-column grid system to ensure that your page will resize faultlessly on any screen sizes. Remix also includes tons of shortcodes and 17 custom widgets to help you set up your page in no time. This theme is fully integrated with that let you set up a forum for your fans and forums without difficulty. INFRA attractive and impressive WordPress theme. It is fully responsive design and comes with custom background images or colors. Theme gives you custom sidebar for every post or page and secondary menu navigation has drop down capabilities. This WordPress theme has Mega menu with trending articles system and sticky sidebar and choose from seven featured image styles. 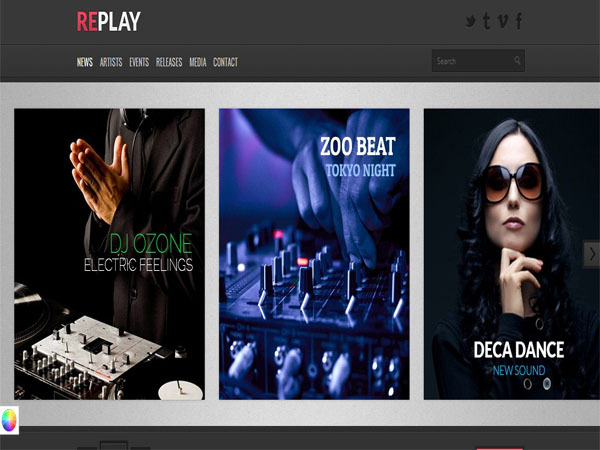 Replay is a professionally developed WordPress theme. This theme is very easy to use and customize upon your requirements. These customizations means both changes in design and functionality. 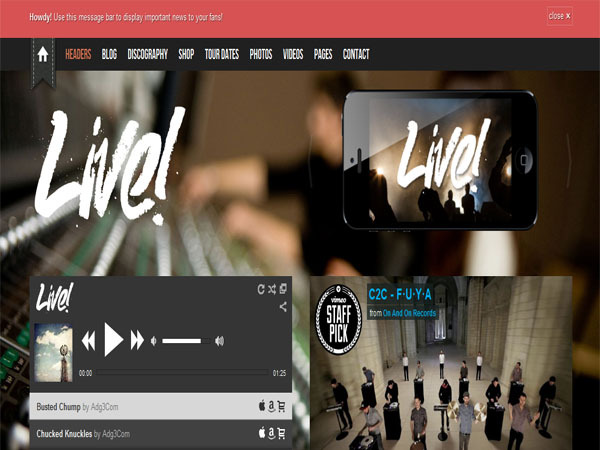 It has built in eStore functionality to sell your records directly to your fans and listeners. This theme comes with powerful yet simple theme options to tweak your theme. 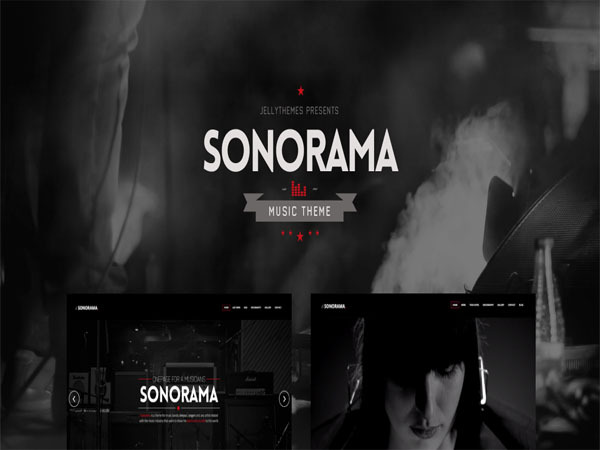 Sonorama is an elegant and clean WordPress theme design. All the elements in this theme are highly modularly so you can set up your layout page and shape it according to your needs and taste. This theme is built with best SEO practices in mind to help your website acquire more traffic and rank well on search engine. It includes a Visual Composer plugin to help you build page layouts without touching a single line of code. 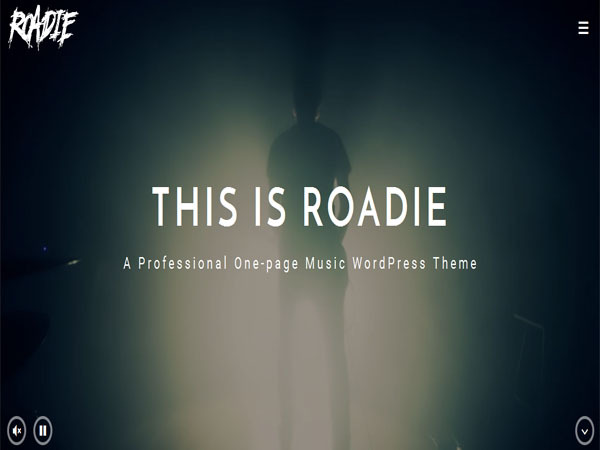 Roadie is a well-designed WordPress theme. This theme is SEO optimized, compatible with SEO plugins like Yoast and compatible with many cache plugins such as W3 total cache. Theme has beautiful sliders & galleries and zoom effect, parallax & video background. It has child theme included for advanced customization and WooCommerce 2.4+ ready. Theme comes with Google fonts loader and all post formats support. 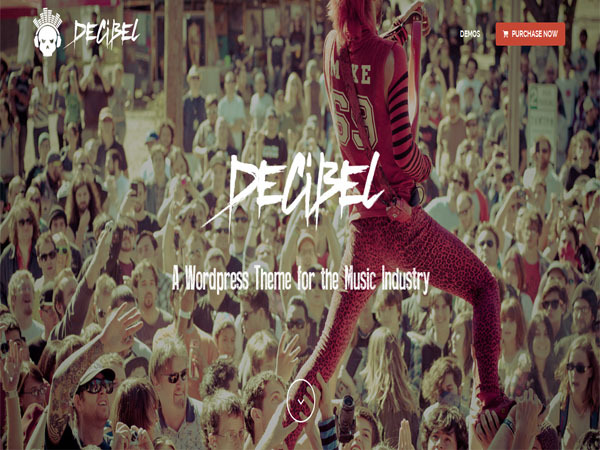 Decibel is a clean and modern WordPress theme. This WordPress theme has child theme included and drag & drop page builder. This theme is SEO optimized and compatible with many cache plugins such as W3 total cache and powerful wolfslider included with video support. It is clean & easy to use admin interface and has fully responsive & retina ready. 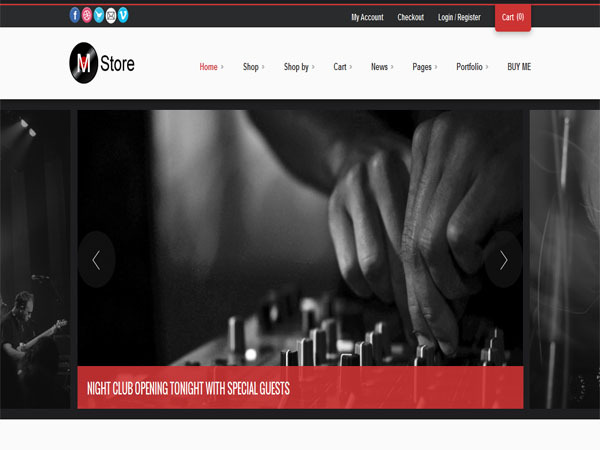 Club88 is a fresh and modern WordPress theme built with HTML5 and CSS3. Club88 is fully compatible and customized to support all of its functions. It has Support for lyrics and Buy buttons for your songs/tracks and WordPress 3.6+ compatible. This theme official 100% WPML support. Club88 was audited by the developers of WPML themselves and was found 100% compatible and translation-ready. It has theme options panel and SEO Optimized and 3 home page layout options and three level dropdown menus and threaded comments. 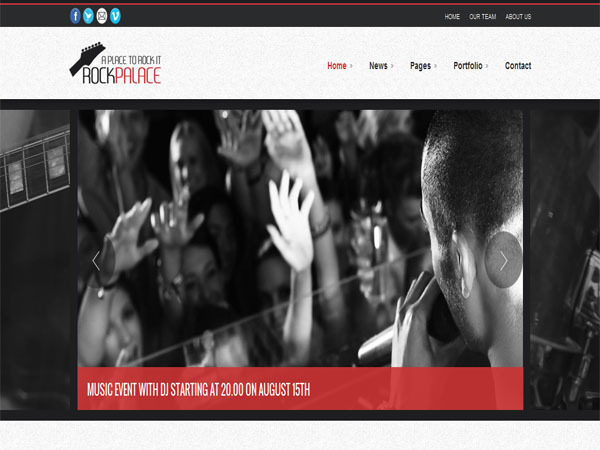 Rock Palace is a stylish and elegant premium WordPress music theme. This Music Theme comes with a plethora of options so you can modify layout, styling, colors and fonts directly from within the backend of your WordPress Theme. The theme allows you to change all the main colors of the Theme along with the background. This theme gives you three different blog pages will give you the opportunity to choose the style that you prefer. It has WPML support for extra languages and +70 shorcodes with easy shortcode generator. With this theme you can add and remove items from home page. Muzak is a fresh and stylish WordPress theme based on Bootstrap. This theme has translation files included and WPML support. This theme has 6 custom post types and page templates, it’s gives you 4 homepage template. This theme has custom widgets and jetpack support and lightbox included and Google analytics integration. This theme has multiple color schemes and much much more. 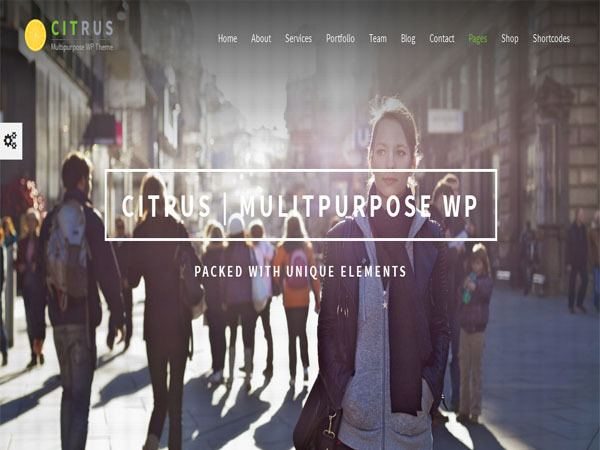 Citrus is a responsive one page parallax WordPress theme. This theme has unlimited header styles and dark & light versions. This WordPress theme has parallax support and parallax background section and video background section. This theme Gives you portfolio management and working contact form and tons of shortcodes. This WordPress theme has semantic code and custom widgets and search engine optimized. Hugo is a modern and sleek WordPress theme. Theme. With this theme you can create pages using shortcodes, it has beautiful gallery page and instagram gallery widget and 2 blog layouts. It has Flexible event page and 404 page and countdown page and Google web font. Theme gives you easy to match multiple colors and lots of shortcodes elements and simply pull and push sections. With this theme you can add album and buy music to iTune, Google play, Add Event, Tour. 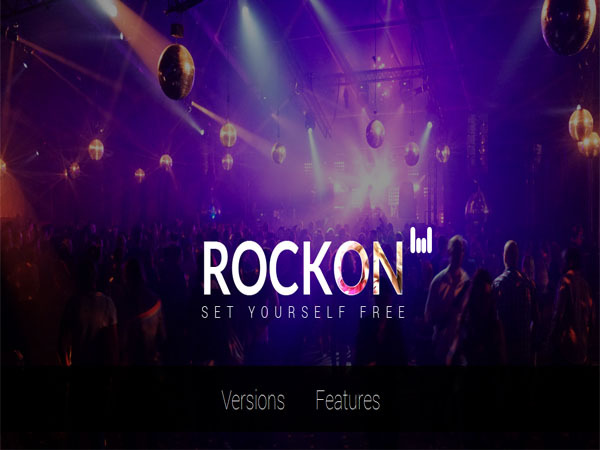 Rockon is a creative and stylish WordPress theme for the energetic people who love parties, music, dance, bands, disco, jockey, night life. This theme gives you 06 color Pre-Options and 05 background Pre-Options and animated revolution slider option. Theme has working PHP Ajax contact form and optimized source code included and filterable portfolio. Theme gives you custom widgets and simple theme options. 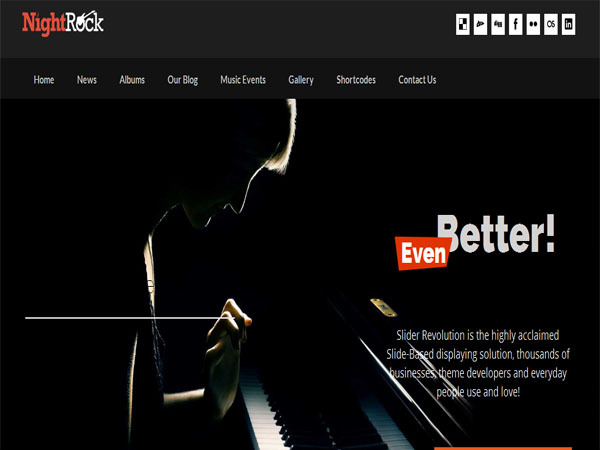 Musica is an elegant and impressive WordPress theme design. Musica has a convenient Administration panel which provides tons of options to manage and modify any aspect of the theme. The theme allows you to change all the main colors of the Theme background color for titles, color of title fonts, color of hover elements, color of shadow used on text, along with the background. This theme has Three different blog pages will give you the opportunity to choose the style that you prefer. This theme has two different Shop pages will allow you to choose between a full width Shop and a shop with a sidebar that can contain normal WordPress widgets and woocommerce widgets. 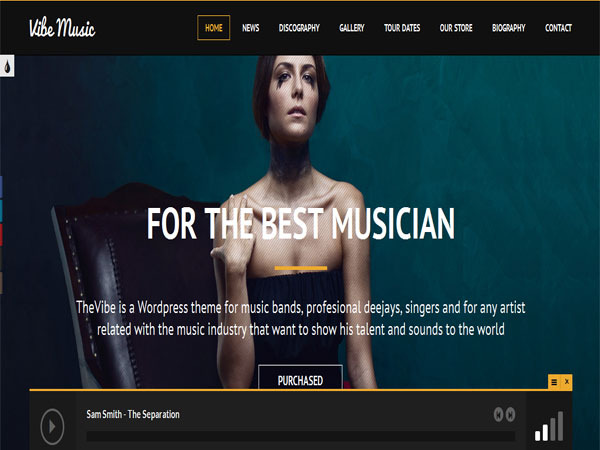 VibeMusic is a well-designed and impressive WordPress theme. This WordPress theme is designed for the modern age with a lot of flexibility in its layout. This theme is also WPML ready. It looks great on all devices, both mobile and desktop. The support system of VibeMusic is excellent, and the staff will provide you with an answer as soon as possible. The theme will also include 2 great skins and some extensive documentation. This is fully responsive and retina ready WordPress theme. This theme has unlimited customization, you can Set the style of your website using colorpicker, backgrounds uploaders etc and custom header background options. This theme gives you video gallery and Video thumbnails generator and supports blog post formats. This WordPress theme has contact form 7 included and 19 custom fonts included and Google font manager and social share buttons and this theme is fully compatible with all wolfplugins. Prev When is It Best To Host Your Blog On a Private Server? Next What are The Pros and Cons of Using a Green Hosting Company For Your Joomla Website?